experienced great difficulty in making the transition from the agrarian world of his childhood to the urban, industrialized world of his adult years. Perhaps an inability to cope with rapid modernization became the stumbling block along his path of intellectual growth, a growth perceptibly slowed after the turn of the century. [T]he high/low culture opposition was just on its way to rigidifying in America in the last two decades of the century[,] . . . and the modernism/mass culture opposition . . . was just on its way toward surfacing (in the work of [Henry] James, say, and the burgeoning, pre-filmic amusement industry). Brown also reminds us that Garland’s “realism, like James’, represented the ‘new fiction.’” To my knowledge, Christine Holbo is the only scholar to have taken up Brown’s implicit challenge to reposition Garland in American cultural history. In “Hamlin Garland’s ‘Modernism,’” Holbo speculates that Garland’s use of “modernism” in 1890 to describe Henrik Ibsen’s realism might well form the first use in Anglo-American letters of this term in the sense in which we understand and use it today. More provocatively, she argues that the stories collected in Main-Travelled Roads “challenge expectations of regionalist anti-modernism” such that Garland might not only be “a ‘modern’ writer but even a self-conscious aesthetic ‘modernist’—perhaps America’s first” (1206–07). While I do not directly pursue Holbo’s productive line of inquiry here, I do deploy Garland as a modern whose career usefully registers and even adumbrates the transformations that took place in writing cultures at a time during which, in Garland’s words, “the alteration of our point of view in matters of faith, the rise of great advertising journals, the development of motion pictures” combined “to produce extraordinary and almost bewildering change.” To negotiate such “bewildering change,” he immersed himself in a very modern culture of writing that straddled different modes and different media, most notably motion pictures. I want to claim, then, that Garland, of all people—this “first actual farmer in American fiction”—appeared in the advance guard of the modern. Mark Storey is similarly alert to Garland’s engagements with modernity in his reading of the ways in which its new technologies (the train) and its popular amusements (the panorama) intrude upon the agrarian heartland of Main-Travelled Roads. But, like Holbo and Brown, Storey, for all his revisionary impulse, continues to focus on Garland’s canonical work of the 1890s. Garland abandoned the highly engagée rural realism of Main-Travelled Roads around 1900 to produce a series of romances that never received the serious literary approbation for which he would continue to yearn. The prevailing narrative of Garland’s career characterizes this shift in his critical fortunes in terms of a fall, one that is generally dated to the appearance of the first of his romances, The Eagle’s Heart (1900), an event that signaled what Brown wryly terms “Garland’s artistic and political ‘defection’” (90). From this point on, Garland would avail himself of the opportunities, as he similarly experienced their capriciousness, of an emerging mass and popular culture in an attempt to find a place therein (if indeed he had one) right up until his death in 1940 in Hollywood. In what follows, I set aside the populist or regionalist frameworks according to which Garland has to date been understood and turn to his ostensible period of decline, that is, to his writing and writing practices of the early decades of the twentieth century. This “late Garland” is of enormous interest and significance; it anticipates, and thus provides valuable insights into, the sorts of transactions between the literary and film industries that would largely come to characterize expressive culture of the twentieth century more broadly. Repositioning himself as an author in the wake of an array of new technologies, Garland engaged in wholly modern writing practices, culminating in his 1916 photoplay contract with the Vitagraph Company, one of the most influential motion-picture studios of the silent era. Garland thus became, as far as I have been able to discern, the first American literary author to write directly for the new medium of cinema, rehearsing the comparable negotiations with mass culture and its institutions into which modernists such as F. Scott Fitzgerald, William Faulkner, Nathanael West, and Gertrude Stein would more famously enter nearly two decades later. The Garland who emerges here is not a hokey regionalist but rather a trailblazing modern embodying the seismic shifts in literary culture in the early years of the twentieth century. I suggest that “late Garland” signals the beginnings of the convergence of mass-cultural and literary industries that had heretofore targeted distinct audiences and distinct outlets, a convergence that authors, from the moment precinematic technologies and entertainments arrived on the cultural scene, have henceforth had to negotiate. Comes now [scenario writer] Mr Charles Goddard to one, Jack London, saying: “The time, the place, and the men are met; the moving picture producers, the newspapers, and the capital, are ready: let us get together.” And we got. Result: “Hearts of Three.” . . . On the Ranch . . . he wrote his first several episodes. But he wrote faster than I, and was done with his fifteen episodes weeks ahead of me. . . . [W]e worked simultaneously at our respective tasks. I could not build for what was going to happen next or a dozen chapters away, because I did now know. In a year a single producing company, with a score of directors, is capable of filming the entire literary output of the entire lives of Shakespeare, Balzac, Dickens, Scott, Zola, Tolstoy, and of dozens of less voluminous writers. . . . The film rights in all novels, short stories, and plays that were still covered by copyright were bought or contracted for, while all similar raw material on which copyright had expired was being screened as swiftly as sailors on a placer beach would pick up nuggets. Thousands of scenario writers . . . pirated through all literature (copyright or otherwise), and snatched the magazines hot from the press to steal any new scene or plot hit upon by their writing brethren. (v–vi). Poster for A Man’s Duty. The “photographization” or “picturization” of novels, short stories and plays that London here describes was of course not the only way in which motion pictures and literature interacted. As London goes on to write, “[S]cenarios . . . in turn, were translated into novels [and short fiction] by novel-writers” (London, foreword, vii). 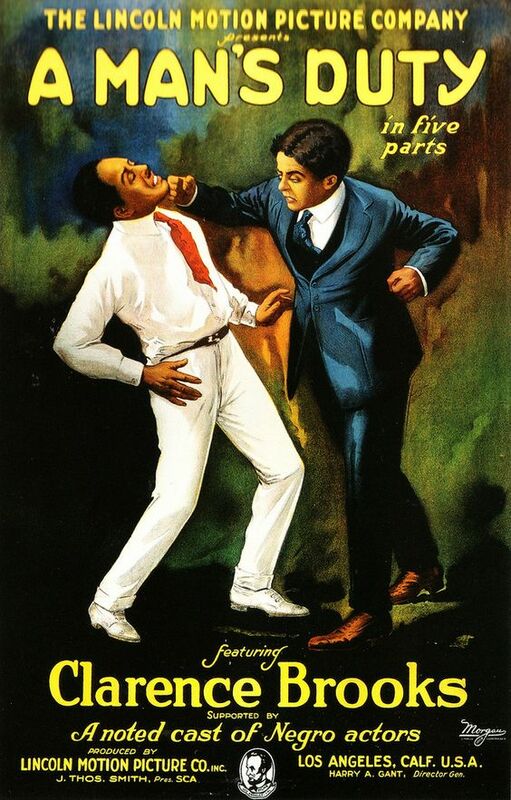 In January 1920, for example, the short-lived African-American magazine The Competitor published “an early example of a movie tie-in,” a story version of A Man’s Duty, a 1919 race film produced by the Lincoln Motion Picture Company. Other forms in which the increasing entanglement of writing and film cultures emerged included the new genres of film reviewing and theory, such as Vachel Lindsay’s The Art of the Moving Picture (1915); the proliferation of screenwriting manuals from the early 1910s; and the fiction and poetry that, from the 1890s, took motion pictures as their subject: for example, O. Henry’s “Vitagraphoscope” (1904), a parody of a scenario from his Cabbages and Kings (1904); Lindsay’s poems such as “John Bunny, Motion Picture Comedian” (1915), and “Mae Marsh, Motion Picture Actress” (1915); and Anita Loos’s “The Moving Pictures of Blinkville” (1919). According to Orgeron, London, “[a]though not the first, […] was among those writers on the cutting edge of [the] transitional phenomenon of selling stories to the [motion pictures] industry” (72). So too was Frank Norris, whose novels were, around 1914, “among the first to be considered for film.” But Garland exceeded these more celebrated contemporaries in significant ways: he not only became, to my knowledge, the first American author to adapt his own fiction for the screen, but also the first established American author to write for motion pictures. That is to say, he did not merely sell the subsidiary rights to his fiction in the way that Norris, London, Booth Tarkington, Thomas Dixon, and so many others began to do, but he actually composed scenarios and associated screen writings. the mutual protection and information of authors in their dealings with publishers. It is a purely business and technical organisation, for the purpose of advising writers as to their legal rights and answering practical commercial questions relating to their profession. more thorough and intelligent co-operation between members [of the League] and the [motion picture] producers. Moving pictures are no longer an experiment, they are an institution; they have attained to a dignity equalling that of the drama, with the result that a demand has risen for good material. This demand has increased steadily, as the public taste has improved under the commendable efforts of the manufacturers, and promises to continue to increase. Motion-picture adaptations of “[f]amous plays” and “literary masterpieces,” Beach continues, in addition to “a market for good plots” and the formation of “several agencies,” have together given rise to “departments for the exclusive handling of moving-picture plays.” From the outset, then, the League took a keen interest in motion pictures, identifying there opportunities for its members and literary culture more widely. In the Bulletin’s second issue—June 1913—Beach is again concerned with motion pictures: since 1911, he writes, literary authors have found a good source of revenue by selling the rights to their short stories for one-reel feature films. But, now, the development of multi-reel features has led to “a demand for more pretentious photoplays” and “many famous books . . . are being photographed.” (In fact, the novels of living American authors had been adapted for the screen—in one- reelers—at least since Tarkington’s Monsieur Beaucaire in 1905.) Beach encouraged the members of the League to familiarize themselves with these developments and to learn properly to market their books to the studios. Photo of Blackton on set of Battle Cry of Peace. On the whole, and over the course of its publication, the League’s Bulletin continued to urge authors to profit from the new medium. To aid in this, it included tips for writing scenarios, advertisements for scenario-writing competitions run by the studios, sample scenarios, advice about rights and copyright, advice on how to negotiate motion-picture contracts, and studio announcements seeking writers of original scenarios. But the Bulletin also contained warnings to those of its members considering crossing over in some way to motion pictures. It published several letters from members complaining that the studios had destroyed their scenarios, turning what they believed was quality into trash. There are also articles warning writers to stay away from motion pictures altogether, to stick to what they do best. (One motion-pictures representative wrote back to this kind of criticism, claiming that motion pictures attracted only the weakest authors). A 1916 issue of the Bulletin reprinted from Photoplay “An Author in Blunderland,” a story that tells of an author seduced—by a serpent no less—to write for motion pictures, with the lure of large financial rewards. On the whole, however, the League, on the evidence of its Bulletin, encouraged its members to embrace the new opportunities motion pictures might offer in terms of additional income and new and larger audiences. [i]n its effort to raise the standard of moving pictures . . . contracted for the stories by many of the most prominent authors of novels and magazine stories [to be] condensed into scenario form and produced upon the lighted screen under the direction of D. W. Griffith, the Mutual’s famous director. A few years later, in 1919, Samuel Goldwyn’s Eminent Authors became the most structured attempt to date by the studios to lure authors to motion pictures. The Eminent Authors comprised a group of bestselling writers, including Atherton, Hughes, Maurice Maeterlinck, and Somerset Maugham, who were to “film their own works, under the guidance of Beach.” From the early 1910s, then, motion-pictures studios invested in stories and scenarios as well as career scenarists, and established authors of page and stage. Together these factors combined to provide new opportunities—and risks—for literary authors. Garland hoped Selig would be interested in producing one of his Western romances—The Captain of the Gray-Horse Troop—making clear that he had already had “one or two offers from New York firms” (Garland to Selig, June 3, 1914). In a trajectory that would become all too familiar twenty years later—in the wake of sound film and its concomitant demand for dialogued screenplays, and in the wake of the Depression during which Hollywood, against all odds, initially thrived—Garland was attracted to the motion pictures industry by the promise of vast sums of money. In the early 1890s he had bought a home for his parents in West Salem, Wisconsin, and he now also had a wife and two daughters to support, just as his literary fortunes were on a downward trend subsequent to his turn away from prairie realism to romance. 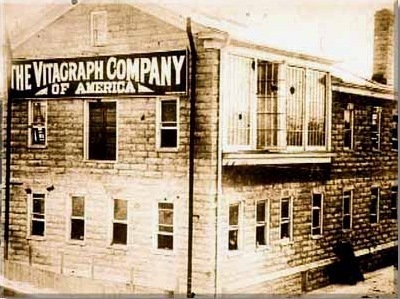 In Back-Trailers from the Middle Border Garland recalls, “while I set forth on this [February 1916] afternoon for the office of the Vitagraph Company with no definite expectation of selling the rights to my stories I secretly nursed a timid hope that fortune might somehow, in some form, come my way.” Blackton assured Garland he would soon earn enough to ride around in his own automobile (Garland, My Friendly Contemporaries, 101). not of drawing-room culture, nor of imitation, nor of fear of masters, nor will it come from homes of great wealth. It will come from the average American home, in the city as well as in the country. It will deal with all kinds of conditions. It will be born of the mingling seas of men in the vast interior of America, because there the problem of the perpetuity of democracy, the question of the liberty as well as the nationality of our art, will be fought out. [T]he great writers of the present day and the great authors of the years to come will deliver their messages to the waiting world by means of the photoplay, and millions of people will see and understand who would never read the message at all, and whose minds would not be attuned to its message. For London, writing in 1915, motion pictures were a means to “[distribute] knowledge in a language that all may understand.” Likewise, and rather ironically, it was in motion pictures that Garland recognized opportunities not only for the creation of a broader imagined community, but also, and like Griffith, for the dissemination of the greatest works of literature—including his own—to the American people, and in that way to forge and circulate even beyond the reach of print culture’s expanding market a self-consciously American culture. discs with hand-drawn images (some coloured) taken from his sequence photographs of animals and athletes using his . . . projector. Audiences would have seen life-size animated images in brief motion. . . . The Zoopraxographical Hall [where these sequences were shown] was arguably therefore the world’s first moving image theatre. 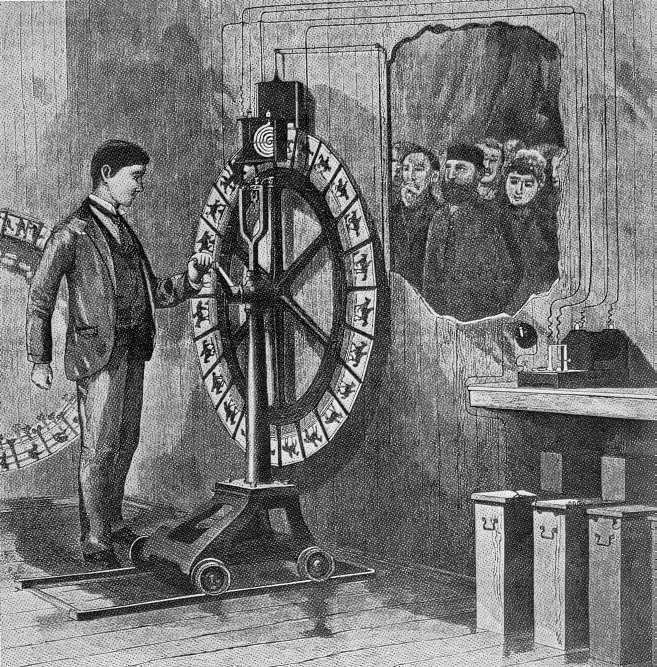 The Electricity Building, located in the White City, which the Garlands visited, housed another visual entertainment, Ottomar Anschuetz’s 1887 Electro-Tachyscope. 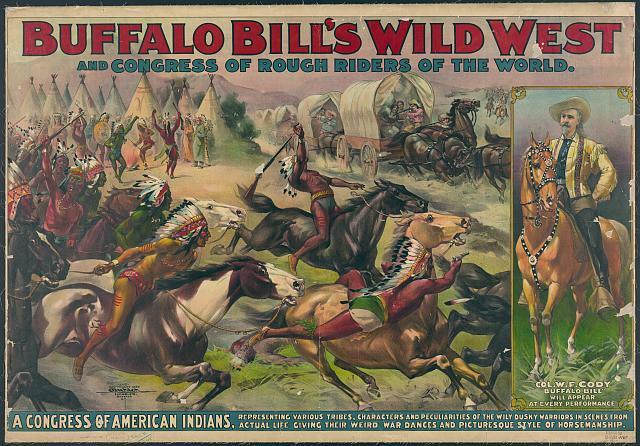 According to the Fair’s official program, “In this apparatus, the natural motion of objects and animals is reproduced with a degree of truth and accuracy that is absolutely bewildering.” Garland may also have attended the hugely popular “Buffalo Bill Cody’s Wild West and Congress of Rough Riders of the World,” which set up next to the official Exposition grounds and attracted an audience of over two million. tables float and chairs move without contact. . . . I have seen a tin cone soaring like a dragon-fly over my head. I have had “ideoplastic” hands touch my knees, write on slates under my foot and between my palms. I have secured writing in a closed pad while it was held in my own hand, and I have seen bursting flames and masses of white vapor floating in the air. Garland’s role in the American Psychical Society thus exposed him to a range of emerging entertainment technologies he might not otherwise have encountered, and thus provided him with experiences and knowledge that, arguably, positioned him well to enter the motion-pictures industry. Cheyenne life before the white man came. . . . I have in mind three great introductory pictures. One, the coming of the explorers; second, the arrival of the treaty makers; third, the breaking of the treaty and a declaration of war; fourth, the imprisonment of the Cheyenne on the reservation. This final picture would lead directly to the beginning of my story of modern reservation life. A surviving and undated three-page typed synopsis of The Captain of the Gray-Horse Troop suggests that these introduced scenes were not included in the final film version. Perhaps most significantly, Garland read and revised scenarios that, after his composition of the respective story treatments, had been initially produced by Vitagraph’s in-house writers—or, as Garland termed them, “hack writers”—such as Joseph Poland and A. Van Buren Powell. We know from extant correspondence that the scenarios of each of the four film adaptations in question were sent on to Garland for “additions and corrections” and Garland’s revised scenarios were used as the final shooting scripts (Jasper Brady to Garland, April 20, 1916). 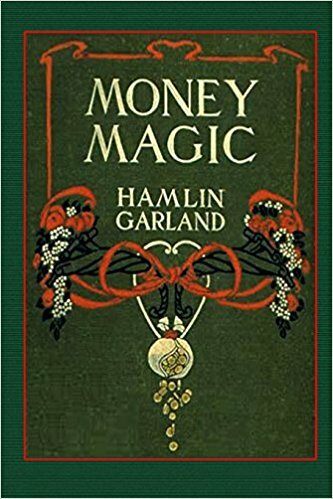 In one instance, Money Magic, Garland ended up writing the scenario himself after his “little hack scenario writer”—possibly Powell, who received screen credit for Money Magic’s scenario—was taken off the property” (Garland, My Friendly Contemporaries, 123–24). 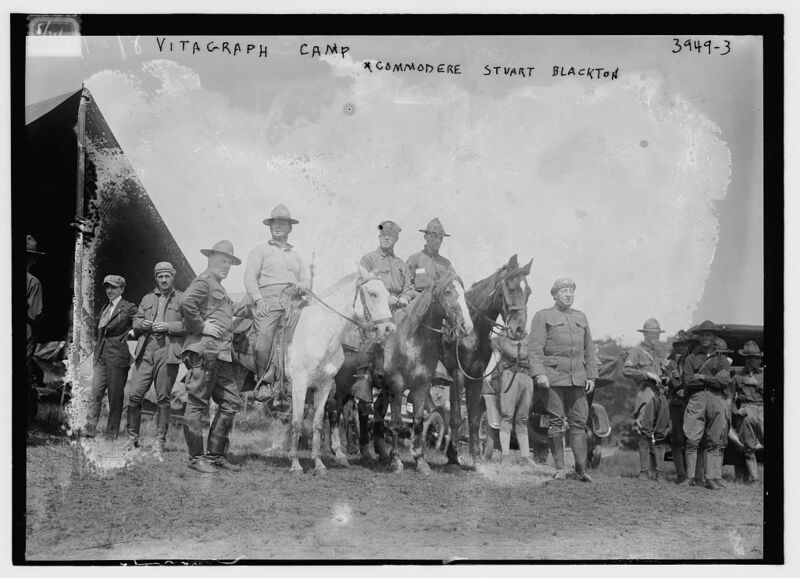 The shooting of Garland’s last Vitagraph property, Cavanaugh of the Forest Rangers, was delayed in order to provide Garland as much time as possible to make revisions to the scenario (J. Stuart Blackton to Garland, April 18, 1917). On the whole, Garland was fairly critical of the scenarios produced by Vitagraph’s in-house writers, deeming them formulaic. He declared, for example, that Poland’s scenario of his novel Hesper, a narrative about the Cripple Creek mining war, was “[f]illed with conventional motion-picture concepts and capable only of stereotyped phrases” (Garland, My Friendly Contemporaries, 101). Nevertheless, what is quite clear is that Garland played a significant role in the production of all four of these adaptations, including the composition of their scenarios, a highly unusual undertaking for a literary author at this point in the history of motion pictures. That screen plays [films] have been among the chief agencies in cheapening our fictional and dramatic writing cannot be denied. They have not only pandered to the taste of the public, they have profoundly influenced the novelist who kept in mind as he wrote, the possible sale of motion picture rights. . . . That the screen became still more powerful when it took on sound and color must also be granted. Regardless of the perceived success or otherwise of his motion-picture experiences, in his attempts to hitch his career to the upstart medium, Garland anticipated the impact the arrival of motion pictures would have on literary authorship and culture more broadly in the early twentieth century. He blazed the trail for a wave of authors who attempted to take advantage of the studios’ increasing need for material and writers, and in a new market targeting a global audience. That he was in all likelihood the first living American author to enter into all facets of the new mode of “picturization” means that we can no longer neglect this unexpectedly thoroughly modern writer. Casting wider our nets thus to consider a relatively obscure case in the context of modernity and modernism and the relations among them means we in turn acknowledge the constellation of narratives and discourses that comprise early twentieth-century literary culture and consequently challenge the fetish of aesthetic experimentalism that continues to characterize much scholarship concerning the early twentieth century. In this way might we fully understand an incipient American modernist culture, its practices and its modes of transmission and consumption. I am extremely grateful for a 2011 University of Southern California Library Wallis Annenberg Research Grant, which enabled me to examine the library’s extensive Hamlin Garland Collection. Charles L. P. Silet, Robert E. Welch, and Richard Boudreau, introduction to The Critical Reception of Hamlin Garland: 1891–1978, ed. Silet, Welch, and Boudreau (Troy, NY: Whitston, 1985), 1–13, 2. Bill Brown, “The Popular, the Populist, and the Populace: Locating Hamlin Garland in the Politics of Culture,” Arizona Quarterly 50, no. 3 (1994): 89–110, 99; emphasis added. Christine Holbo, “Hamlin Garland’s ‘Modernism,’” English Literary History 80, no. 4 (2013): 1205–36, 1209. See also Hamlin Garland, “Ibsen as a Dramatist,” Arena 2 (1890): 72–82, 72. Quoted in Joyce Kilmer, “Says New York Makes Writers Tradesmen,” New York Times Magazine, May 28, 1916, 12–13, 13. Garland ascribes this claim to his friend Joseph Kirkland, the author of Zury, in Hamlin Garland, A Son of the Middle Border (1917; rpt. New York: MacMillan, 1920), 371. Richard Abel and Amy Rodgers, “Early Motion Pictures and Popular Print Culture: A Web of Ephemera,” in The Oxford History of Popular Print Culture, vol. 6, US Popular Print Culture 1860–1920, ed. Christine Bold (Oxford: Oxford University Press, 2012), 191–209, 191. Intermediality, like the related concepts of transmediality, convergence, and remediation, has in this century gained significant currency to describe the relations between media. However, as some media scholars such as Erkki Huhtamo and Jussi Parikka have recently noted, this scholarship remains largely unhistoricized: it ignores media’s historic ruptures and temporalities (Huhtamo and Parikka, “Introduction: An Archaeology of Media Archaeology,” in Media Archaeology: Approaches, Applications, and Implications, ed. Huhtamo and Parikka [Berkeley: University of California Press, 2011], 1–24). To ask, as I do here with reference to Garland, just exactly how authors and writing cultures responded to the emergence of a potentially great rival—motion pictures—and vice versa, goes some way in addressing this gap in the scholarship. Marsha Orgeron, Hollywood Ambitions: Celebrity in the Movie Age (Middletown, CT: Wesleyan University Press, 2008), 73. Jack London, foreword to Hearts of Three (New York: Macmillan, 1920), v–ix, vii. See Orgeron, Hollywood Ambitions, 88–97, for a more detailed account of the composition and plot of Hearts of Three, which first appeared in book form in 1918 (that is, after London’s death in 1916), and was then serialized in the New York Evening Journal and Oakland Tribune in 1919. Barbara Lupack, Literary Adaptations in Black American Cinema: From Micheaux to Morrison (Rochester, NY: University of Rochester Press, 2002), 79. The title of O’Henry’s story is clearly a combination of Vitagraph (the studio) and Vitascope, an early technology of film projection. Michael Wutz, Enduring Words: Literary Narrative in a Changing Media Ecology (Tuscaloosa: University of Alabama Press, 2009), 12. Best-selling authors Irving S. Cobb, Rupert Hughes and Zane Grey, along with several professional scenarists such as Leroy Scott, Wallace Irwin, and Nina Wilcox Putnam jointly composed the scenario for the forty-reel, twenty-episode Graft (1915; lost). Thomas Dixon had some oversight of the making of The Birth of a Nation (dir. D. W. Griffith, 1915) but nothing to compare with Garland’s hands-on contributions at each stage of the pre-production of the adaptation of his four romances, as I explain. And, although a September 1919 Photoplay article proclaims Beach “the first author to personally supervise his works in the filming,” Laughin’ Bill Hyde, which was released in 1918 by Rex Beach Pictures Company, was in fact Beach’s first foray into scenario writing, and thus two years after Garland’s. See Delight Evans, “He Rolled Up His Sleeves,” Photoplay 16, no. 1 (1919): 50–51, 50. Bulletin of the Authors’ League of America (April 1913): 6. No author. Rex Beach, “Editor’s Note,” Bulletin of the Authors’ League of America (April 1913): 2–5, 5. Rex Beach, “Photo Plays,” Bulletin of the Authors’ League of America (June 1913): 6–8, 6. “What Is the Matter with Your Motion Picture Scenario? By a New York Agent,” Bulletin of the Authors’ League of America (November 1918): 14–16, 14. Channing Pollock, “An Author in Blunderland,” Photoplay 1916; rpt., Bulletin of the Authors’ League of America (October 1916): 4–11, 4–7. J. Stuart Blackton, “Literature and the Motion Picture—A Message,” Bulletin of the Authors’ League of America (February 1914): xxv–xxviii, xxv. Epes W. Sargent, “Those Two Reel Stories,” Moving Picture World 17, no. 8 (1913): 837. Peter Decherney, Hollywood’s Copyright Wars: From Edison to the Internet (New York: Columbia University Press, 2012), 36. Miriam Hansen, “Early Silent Cinema: Whose Public Sphere?,” New German Critique 29, no. 10 (1983): 147–84, 151. According to Torey Liepa, motion-picture producers started to seek out literary authors as early as 1912, when the Indiana-based Photoplay Enterprise Association announced a scenario contest in the pages of Moving Picture World. See Torey Liepa, “Figures of Silent Speech: Silent Film Dialogue and the American Vernacular, 1909–1916” (PhD diss., New York University, 2008), 211. “Authors for Mutual Film,” Motography 11, no. 1 (1914): 14. Edison Inc.’s scenario guidelines are held in the “Edison Manufacturing Co., scripts,” Film Study Center, Museum of Modern Art (MOMA), New York City. Cal York, “Plays and Players,” Photoplay 26, no. 5 (1919): 86–130, 130. Garland to Ince, January 21, 1913, Hamlin Garland papers, Collection no. 0200, Special Collections, USC Libraries, University of Southern California. Cecil B. DeMille was Lasky’s partner, with Sam Goldwyn and Oscar Apfel, in Jesse L. Lasky’s Feature Play Company. Hamlin Garland, My Friendly Contemporaries: A Literary Log (New York: Macmillan, 1932), 14. It is not clear to which “leading company” he here refers. Roberta E. Pearson and William Uricchio, Reframing Culture: The Case of the Vitagraph Quality Films (Princeton: Princeton University Press, 1993), 3. 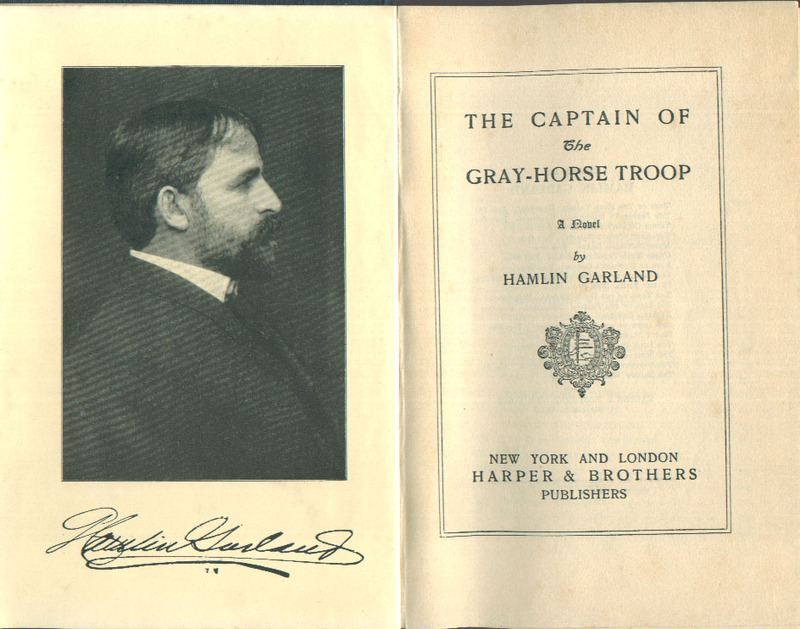 These are adaptations of, respectively, Garland’s The Captain of the Gray-Horse Troop (1902), Hesper (1903), Money Magic (1907), and Cavanagh: Forest Ranger (1910). Hamlin Garland, Companions on the Trail: A Literary Chronicle (New York: Macmillan, 1931), 13–14. While Owen Wister’s 1902 novel The Virginian is often considered the first Western, in fact Garland had already published his own, The Eagle’s Heart, two years earlier in 1900. Hamlin Garland, Back-Trailers from the Middle Border (New York: Macmillan, 1928), 20. On veritism, see especially Hamlin Garland, “Productive Conditions of American Literature,” Forum 27 (August 1894): 690–94. See Richard Brodhead’s seminal account of regionalism, the new mass magazines, and circulation in “The Reading of Regions,” in Cultures of Letters: Scenes of Reading and Writing in Nineteenth-Century America (Chicago: University of Chicago Press, 1993), 107–41. Brodhead argues that regionalism—its short stories particularly—depended for its very life on increased circulation resulting from advances in various communications (particularly pertaining to printing) and transportational technologies. Hamlin Garland, Crumbling Idols: Twelve Essays on Art Dealing Chiefly with Literature, Painting and the Drama (Chicago: Stone and Kimball, 1894), 8, 189–90. Griffith is quoted in Russell E. Smith, “The Belasco of the Motion Picture Art,” Motography 11, no. 8 (1914): 261–62, 261. Jack London, “The Message of Motion Pictures,” in Authors on Film, ed. Harry M. Geduld (Bloomington: Indiana University Press, 1972), 104–07, 106. London’s article first appeared in Paramount Magazine in February 1915. Hamlin Garland, “My Aim in Cavanagh,” The World’s Work 20, no. 8 (1910): 13,569. See also Chapter 3 of Cavanagh, Forest Ranger, in which Forest Supervisor Redfield waxes lyrical about the coming of the New West: “If a neat and tidy village or a well-ordered farmstead is not considered superior to a cattle-ranch littered with bones and tin cans, or better than even a cow-town whose main industry is whiskey-selling, then all civilized progress is a delusion.” Garland, Cavanagh, Forest Ranger (New York: Harper & Brothers, 1910), 40. Hamlin Garland, Hesper (New York: Grosset and Dunlap, 1903), 223; Hamlin Garland, “Automobiling in the West,” Harper’s Weekly 46 (September 6, 1902), 1254; Garland, “Ibsen as Dramatist,” 39. Diary entry, April, 1912, Item 707a, excerpts from the Garland Diaries, original incomplete, Hamlin Garland papers, USC; “On an Old Magazine,” three typed pages, no date, item 409, Hamlin Garland papers, USC. For an account of his early reading habits, see Garland, A Son of the Middle Border, 89, 114, 120–21. Luke McKernan, “Victorian ‘Cinemas,’” Who’s Who of Victoria Cinema Website, victorian-cinema.net/venues. World’s Columbian Exposition: Official Catalogue of Exhibits on the Midway Plaisance (Chicago: W. B. Conkey Company, 1893), 11. Available online at “Exhibits on the Midway Plaisance, 1893,” Encyclopedia of Chicago, encyclopedia.chicagohistory.org/pages/11421.html. Hamlin Garland, Forty Years of Psychic Research: A Plain Narrative of Fact (New York: Macmillan, 1936), 146; Daniel Herman, “Whose Knocking? : Spiritualism as Entertainment and Therapy in Nineteenth-Century San Francisco,” American Nineteenth Century History 7, no. 3 (2006): 417–42, 437. Hamlin Garland, “The Spirit World on Trial,” McClure’s 52, no. 3 (1920): 33–92, 33. Additionally, Tom Gunning notes, “[T]he images that appear in [spirit] photographs were generally described with the . . . term extras.” See Gunning, “Phantom Images and Modern Manifestations: Spirit Photography, Magic Theater, Trick Films and Photography’s Uncanny,” in Fugitive Images from Photography to Video, ed. Patrice Petro (Bloomington: Indiana University Press, 1995), 42–71, 51. Garland, Forty Years of Psychic Research, 184. Tom Gunning, “The Cinema of Attractions: Early Film, Its Spectator and the Avant-Garde,” Wide Angle 8, nos. 3–4 (1986): 63–70. Ectoplasm, also known as “etheric fluid,” “resembles smoke but easily becomes viscous. . . . Sometimes it exudes from the body of the psychic as a vapor and settles on her dress like hoar frost” (Garland, Forty Years of Psychic Research, 128). Ectoplasm was part of the discourse of fluids, energy, and relays that characterized so much popular science writing at this time, concerning, for example, new telecommunications technologies, and it finds its analogy in electricity. Hamlin Garland, The Shadow World (New York: Harper & Brothers, 1908), 103. J. Stuart Blackton, “Yesterdays of Vitagraph,” Photoplay 26, no. 1 (1919): 28–32, 28. Garland’s contract with the Vitagraph Company, June 21, 1916, item 669, Hamlin Garland papers, USC. Clara Beranger, “The Story,” in Introduction to the Photoplay: 1929: A Contemporary Account of the Transition to Sound in Film, ed. John C. Tibbetts (Los Angeles: National Film Society, 1977), 136–57, 142. See also Bert Ennis, “Them Were the Happy Days: The Vitagraph Years,” Motion Picture Classic, vol. xxiv, no. 2, October 1926, pp. 18–19, 45. According to Joshua Yumibe, applied color techniques “were common in the cinema through the mid-1920s,” a technique derived from magic-lantern slides and photography (Joshua Yumibe, Moving Color: Early Film, Mass Culture, Modernism [New York: Rutgers University Press, 2012], 3). Hamlin Garland, “Suggestions for tinting,” item 668h, Money Magic, typed carbon copy, one leaf, Hamlin Garland Collection, USC. For this same property, there had also been talk of Eanger Irving Couse, “the Indian Painter,” helping to arrange “our scenes of Indian life and also in our costuming” (Garland, My Friendly Contemporaries, 112). A one-page fragment, “The Red Pioneer,” which was the sometime title of The Captain of the Gray-Horse Troop, reveals that Garland envisaged “an introductory reel showing the early stages of the red mans [sic] history” comprising seven scenes: before the Whiteman; The Coming of the Whiteman; “the white man is trading with the Indians”; the Indians “decided to drive the invader away”; “Captivity” on the reservation; and “Before the President,” who promises to replace “the bad agent” with “a brave man a soldier.” Only then does the plot recognizable from Garland’s novel begin (“The Red Pioneer,” Item 197 [also] [Gray Horse], 1p., n.d., Hamlin Garland Collection, USC). Hazel Simpson Naylor, review of Money Magic, Motion Picture Magazine (May 1917): 9. Hamlin Garland, “The Value of Melodious Speech,” Emerson Quarterly (November 1929): 5–24, 22. Hamlin Garland, “Literary Fashions Old and New: An Address for the American Academy,” Item 606, New York, b, typed fair copy, thirteen leaves, November 1938, Hamlin Garland Collection, USC. Sarah Gleeson-White is Associate Professor in American Literature in the Department of English, University of Sydney. She is the author of William Faulkner at Twentieth Century-Fox: The Annotated Screenplays (Oxford University Press, 2017), and Strange Bodies: Gender and Identity in the Novels of Carson McCullers (Alabama University Press, 2003), as well as articles and book chapters on Faulkner, McCullers, Cormac McCarthy, Flannery O’Connor and Eudora Welty.